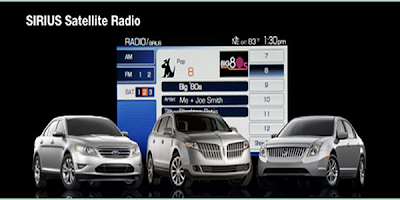 SIRIUS Satellite Radio With music from every genre, artist-dedicated channels, live performances and more, SIRIUS is the home of 100% commercial-free music. Radio always up-to-date with Live coverage of over 350 pro, college and motor sports teams and more. All the action, all the talk 24/7. The SIRIUS Satellite Radio provide local and international news you trust from FOX news, CNN, CNBC and more - plus local traffic and weather. Including the biggest names, compelling talk, hilarious comedy.